Gilman Law LLP is a leading Florida accident and personal injury law firm located in Southwest Florida. 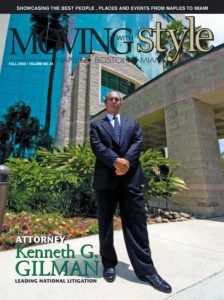 The experienced accident and personal injury lawyers at Gilman Law consistently deliver successful results for clients across a broad range of practice areas, including personal injury, auto accidents, motorcycle accidents, trucking accidents, medical injuries, medical malpractice claims, work-related accidents, maritime accidents, and more. The experienced attorneys at the Southwest Florida Accident and Personal Injury Law Firm of Gilman Law have over 40 years of trial experience and have been repeatedly recognized for tireless and successful work on behalf of clients in extremely challenging and important legal issues. The Florida Accident and Personal Injury Law Firm of Gilman Law LLP has its principal offices in Naples, Florida and Bonita Springs, Florida; however, the firm represents accident victims throughout the entire state of Florida. If you’ve been injured in an accident, hurt on the job, or feel that you have been the victim of a medical error, you can be assured that our experienced Florida accident and personal injury attorneys will do everything possible to make sure you receive all of the compensation you’re entitled to under Florida law. The firm’s experience and knowledge of the law, together with access to the finest experts and investigative teams, allow our experienced Florida accident and personal injury lawyers to provide outstanding service to our clients. Our Florida accident and injury lawyers will thoroughly investigate your accident claim, identify the responsible parties and ensure that their insurance companies treat you fairly by giving you the compensation you deserve. If you or loved one has been injured in an accident, hurt on the job, feel that you are the victim of a medical error, or otherwise feel you have a claim, the experienced Florida accident and personal injury attorneys of Gilman Law LLP are here to help. 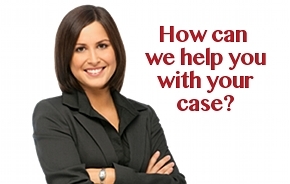 To learn more about us or for a free evaluation of your lawsuit, please fill out the online form on the left or CALL TOLL FREE at 1-888-252-0048.